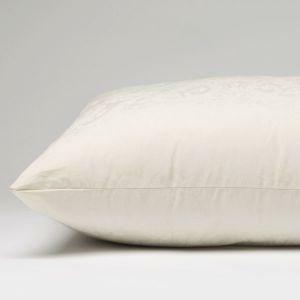 Our Gold Label Pillows by Carpenter will provide great comfort at an unbeatable price. The fillings are virgin polyester hollow fibers that give our pillows great resiliency and will provide you with a delightful night's sleep. This pillow will not flatten-out. 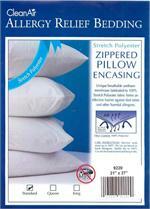 Hypoallergenic, washable, with a 300 thread count cover. Not bed bug proof without PillowSafe cover. These pillows are incredible for the $$. I stayed at a Sheraton in Buffalo and wrote down the name of the pillow, two days later I had four of them at my home!